The discovery of an obscure, previously unknown, recording from a master musician is often but not always a source of celebration. 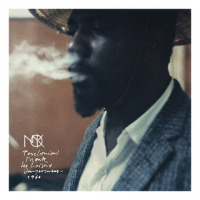 Unfortunately the new release by Rare Live Recordings of pianist Thelonious Monk's In Philadelphia 1960 with Steve Lacy is one of those occasions when it is not. The disappointment starts even before you start listening to the CD. One is all excited to hear saxophonist Steve Lacy playing together with his mentor, as suggested by the title, only to discover, once one flips the case over to read the back, that the Lacy/Monk group is featured only on three tracks out of fifteen. 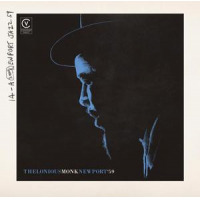 The rest is a hodge-podge of recordings from different broadcasts and lost tapes, all featuring Thelonious Monk as a sideman and always in the background. The fine print warns that the technical sound quality is not up to today's standards but the reality is worse than that. Except for three tracks from 1957 that have an acceptable sound, the sound quality on the rest of the CD is extremely poor. One is unable to hear the distinctiveness of any of the players and sometimes it is even hard to tell what instruments they are playing. It is very hard to appreciate the virtuosity and the talent of all the musicians named on the cover when one cannot even hear them properly. 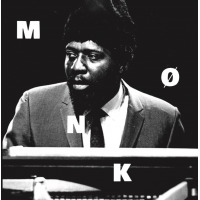 There are also a number of tracks that are only announcements and one extremely dull interview of Monk by Steve Allen. 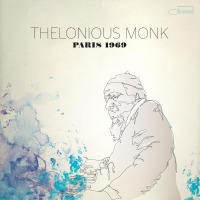 Overall, despite it being a recording by Thelonious Monk, it is a huge disappointment because of the misleading title, poor sound quality and poor planning. It adds absolutely nothing to the genius' musical legacy and is best forgotten. Track Listing: Announcement; Evidence; Announcement; Straight No Chaser; Rhythm A Ning Into Closing; Announcement; Blue Monk; Light Blue; Evidence; Just You Just Me; All The Things You Are; Suburban Eyes; Steve Allen Interviews Monk; Well You Needn't; Especially For You; Nobody Knows. 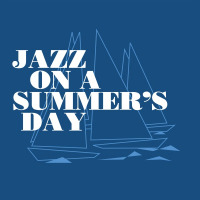 Personnel: Thad Jones: trumpet; Idrees Sulieman: trumpet; Art Farmer: trumpet; Steve Lacy: soprano sax; Hank Mobley: tenor sax; Lucky Thompson: tenor sax; Charlie Rouse: tenor sax; Thelonious Monk: piano; Curly Russell: bass; John Ore: bass; Charles Mingus: bass; Art Blakey: drums; Roy Haynes: drums; Billy Higgins: drums; Franky Passions: vocals.